For the Bahujan Hitaya Society Hostel project in Amravati, India, we prepared a Raspberry Pi computer, so children and teachers can experiment with digital education. The hostel gives shelter and opportunity to the most disadvantaged, impoverished, tribal and destitute Dalit children in Maharashtra. As many children of these communities often faced harassment and caste discrimination by higher caste people, they have limited access to education. 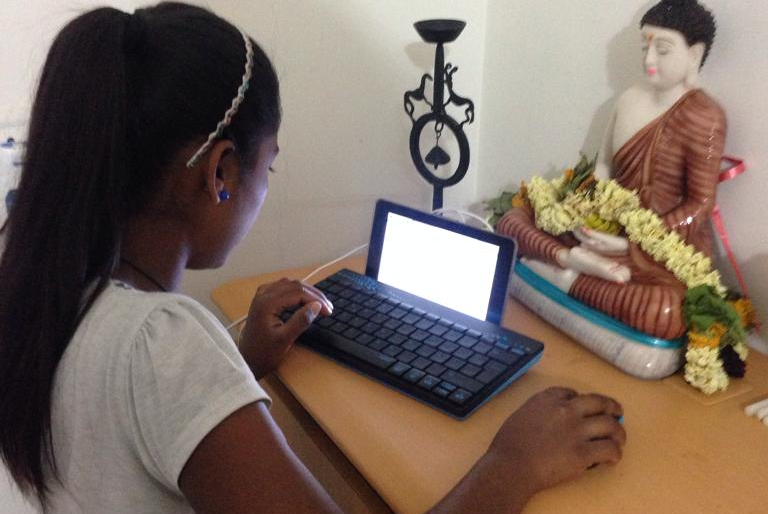 The hostel itself can give the children only limited computer access and has slow internet. Thus, we donated a Raspberry Pi computer prepared with offline content. We added several Wikipedia versions (e.g. Hindi, simple English), Kolibri with Khan Academy, Sirkana and programming games). We also added a (Pi-custom) touchscreen, wireless keyboard and mouse. We are fascinated by the possible long-term impact of providing education options to poor children. This project is only a small pilot with little impact. However, the preparation and research has taught us a lot about the technologies involved and we now understand better the crucial questions this sector faces to address the need for rapid scale. We hope to do more in this sector, which is full of possibilities at the moment!